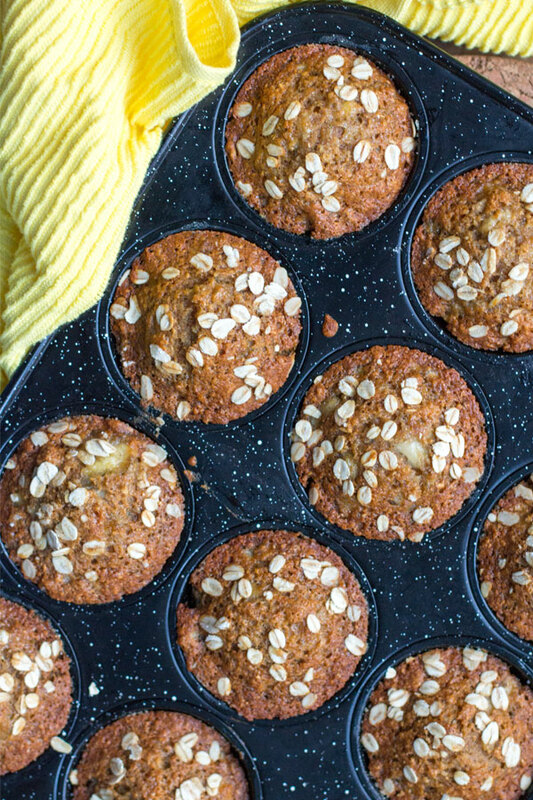 We’re a little obsessed with these healthy banana muffins at the moment because they are simple to make. Made with wholemeal flour these honey-sweetened healthy banana muffins are so fluffy and moist. It’s easy to forget they’re healthy muffins. They use basic ingredients and only one mixing bowl! Looking for a recipe to go with these banana muffins then check out our blueberry and lemon muffins or our healthy savoury muffin recipe. Making your banana muffins with fiber-rich wholemeal flour, honey and coconut oil means they are relatively guilt-free. 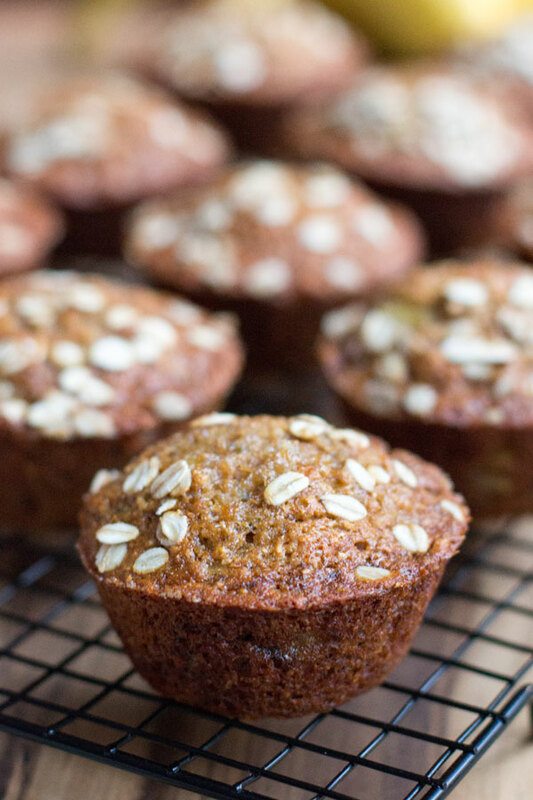 These healthy banana muffins are the perfect treat for when you feel like something sweet. If you are trying to watch your treat intake, then it is so much better to bake muffins yourself, as you can choose exactly what you put in them! Meaning you can go easy on the refined sugars or leave it out completely if you like. These are perfect brunch snack on the weekend or for bringing to work for morning tea. 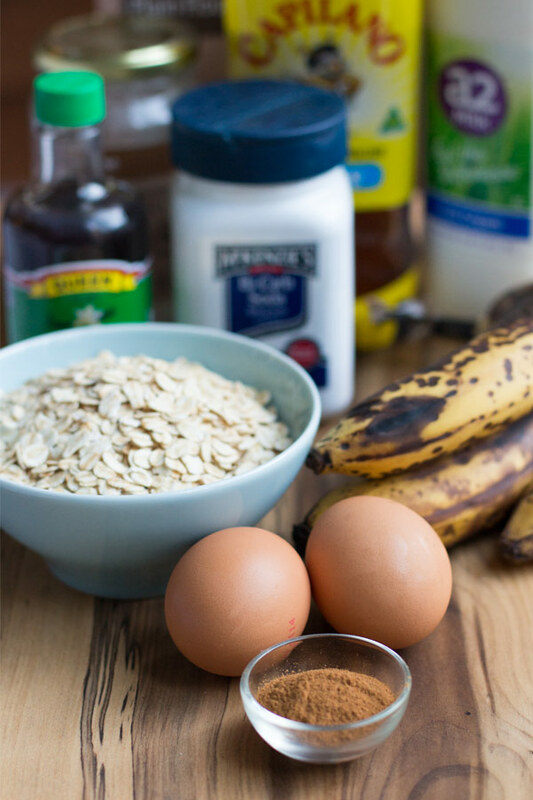 Making healthier snack choices, like these healthy banana and oat muffins is a great way to decrease your daily sugar intake. Feel free to add mix-ins of your choice, like or toasted nuts or raisins to put your own spin on the recipe. The recipe calls overripe bananas and basic cupboard ingredients. Mixing them together in one bowl makes this the perfect snack recipe for busy people. When cooked to perfection these wholemeal, honey-sweetened, healthy banana muffins are delicious. Recipe adapted from Cookie and Kate. Made with wholemeal flour these honey-sweetened healthy banana muffins are so fluffy and moist. It’s easy to forget they're healthy muffins. Preheat oven to 165 degrees Celsius (325 degrees Fahrenheit). Grease the cups of your muffin tin with butter or non-stick cooking spray. In a large bowl, beat the coconut oil and honey together with a whisk. Add eggs and beat well. Mix in the mashed bananas and milk, followed by the baking soda, vanilla extract, salt, and cinnamon. Divide the batter evenly among the 12 muffin cups, filling each cup about two-thirds full. 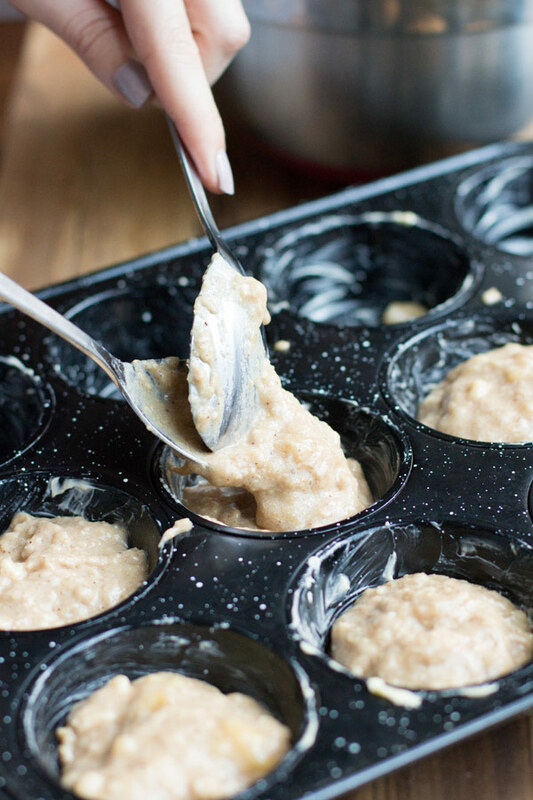 Sprinkle the tops of the muffins with a small amount of oats (about 1 tablespoon). Bake muffins for 23 to 25 minutes, or until a toothpick inserted into a muffin comes out clean. Place the muffin tin on a cooling rack to cool. You might need to run a butter knife along the outer edge of the muffins to loosen them from the pan. Enjoy! These banana muffins look great! Trying these out on the weekend. Ugh I LOVE banana muffins! These ones look incredible! Perfect with a cuppa coffee! Thanks Beth, Perfect snack for a cuppa!